Pie? You mean there’s pie? I couldn’t let you come over without having pie. Someone might find out that I didn’t make any pie. I quick made a graham cracker crust, “G” of GAIN made chocolate pudding. I poured in some toffee chips then filled the crust. We didn’t have whipped cream, but sprinkled the remaining chips on top before serving. It was the best unplanned dessert ever. 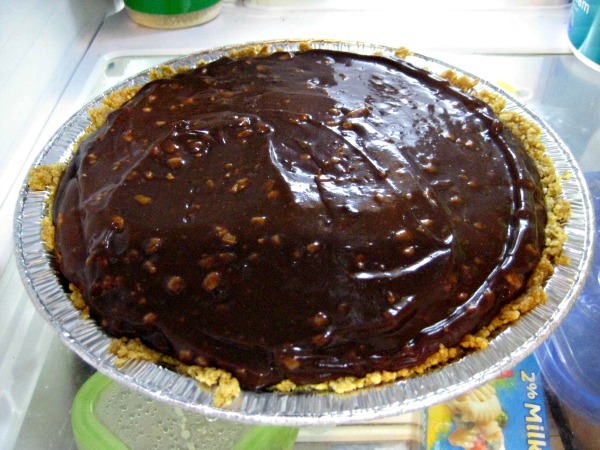 This entry was posted in food and tagged pie. Bookmark the permalink. 2 Responses to You mean there’s pie? We happened to have a box of pudding from grandma’s house — she had left it with us. However, I have a fantastic corn starch pudding recipe that I can surely share here.